The Rock Christian Family Strives to have honest Faith, real love and to serve our city. Our mission is to champion people in having long lasting relationships with Christ and Christ Followers. Our Vision is to create a church for everyone. – No matter who you are, what you have done, what you believe, we believe you matter to God so you matter to us. You Belong. We Believe that God is the perfect Model on how we should love. We want to show unconditional love, sacrificial love and continual Love to everyone. We believe the local church is the hope of the world, we want to go outside the walls of our building and serve and empower the people in our community. If we live with integrity nothing else matters. If we don’t live with integrity nothing else matters. We believe the Bible is as relevant today as it has ever been and has the power to change lives. Excellence honours God and inspires people. We truly believe it is more blessed to give than to receive. God took a risk on us, and we will take risks to see people come to know Him. The church does not exist for us. We are the church and we exist for the world. We believe God calls us to multiply his church, not just maintain it. The local church is the hope of the world, and we know we can accomplish more together than apart. We are a church for everyone and offer acceptance and real love to all, following the example set by Christ. Towards the end of 2000 God called David & Robyn Frewen-Lord to begin a new work with young people. They were already involved with children and youth ministries, including LINX, a highly successful discipleship program based on YWAM Kings Kids.  In January 2001 The Rock Christian Family was born… a church with a vision to see young people develop a strong lasting faith in God, and be empowered to realise their full potential in leadership and ministry. The Rock began as a night service, and although its demographics was fairly multigenerational, young people were encouraged to lead in every aspect of church ministry. The Church also had groups for kids & youth, and the LINX program really grew at this time, serving young people from churches across the city. There was a strong emphasis on mission and The Rock was involved in outreaches in Townsville, North Queensland , and overseas. There were a number of teams sent to Vanuatu over the years to serve with “Love Vanuatu”, a mission that The Rock has partnered with for many years. Although The Rock was a small church, the comment was made by other church leaders that it punched well above its weight in terms of its impact and influence in the city of Townsville. It’s involvement in the ministry of the Combined Churches has given the Rock many opportunities to serve the city. Over the years, the young people grew to be strong Christian adults… got married, had kids, pursued careers with many becoming involved in key leadership roles, including pastors, school chaplains and full time missionaries. David & Robyn always had a vision to pass on the baton of leadership, and In 2017 it became apparent that it was a new season for The Rock.